1. 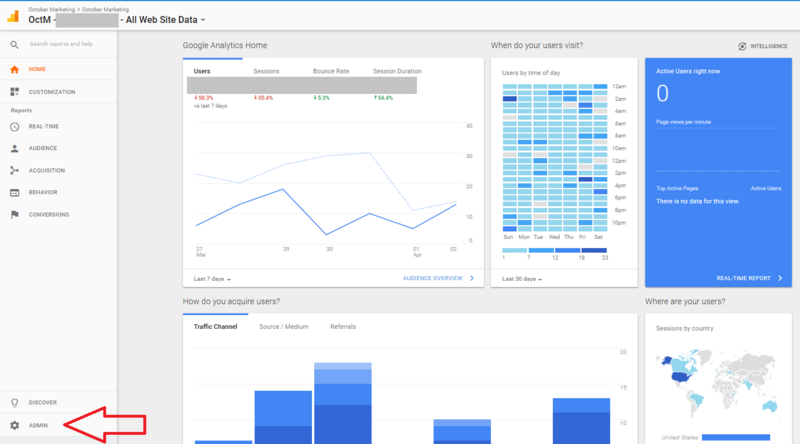 Login to your Google Analytics account and go to the admin tab. 2. Navigate to the correct property and click “Tracking Info” to expand the menu. Then, click on “Data Collection”. 3. 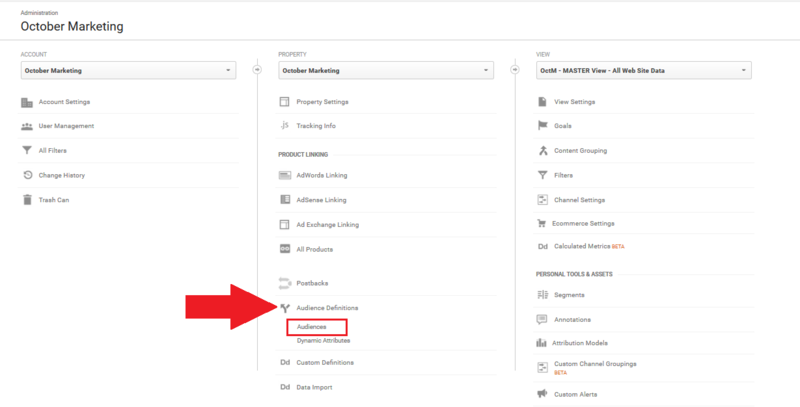 Under Remarketing, flick the switch to enable data collection for both display and search remarketing. 4. Don’t forget to click on save! 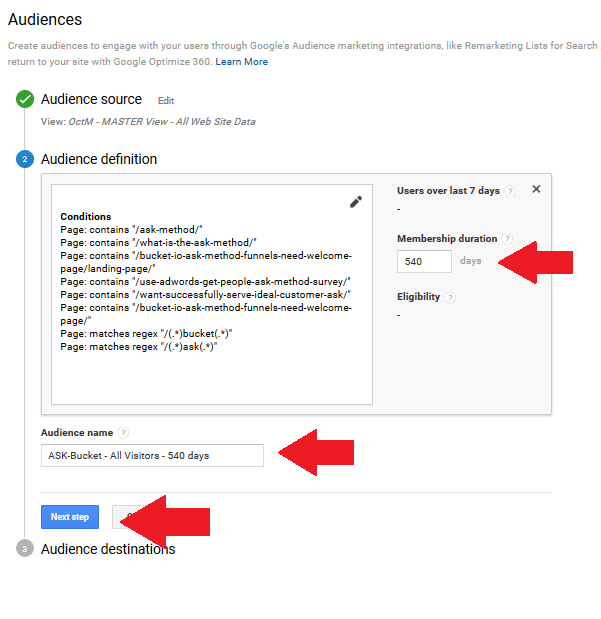 Once that’s done, you can go ahead and start building your remarketing audience lists. First we’ll show up how to build a basic “All users” audience list, which is the most fundamental and important list. 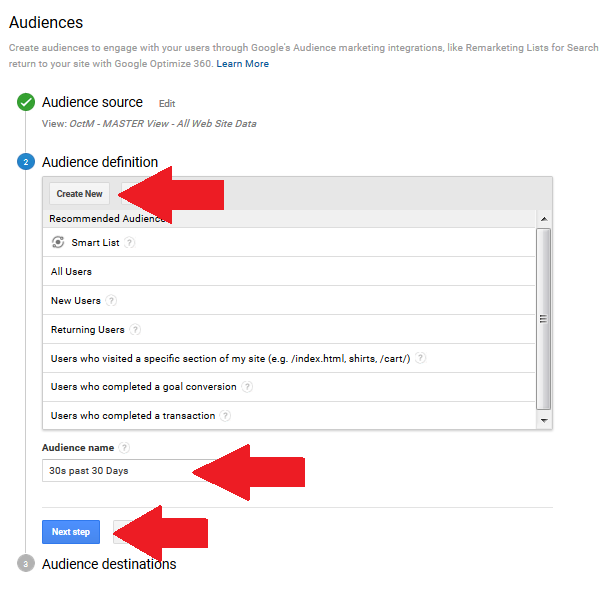 also how to build an audience from people who converted (reached a predefined “Goal”). Any combination of these can be used together to build increasingly sophisticated, that is more detailed and specific audiences. Just be aware that the more detailed your audience settings are, the fewer percentage of people will be in your audience, and you’ll need a correspondingly greater amount of traffic to build an audience large enough to use. 2. Click on + New Audience. 3. 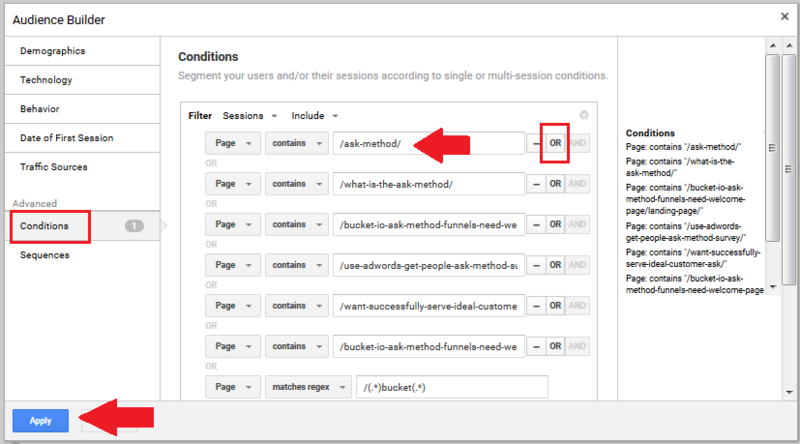 On the next page, click on “All Users” then fill out the Audience name and click the Next step button. 4. 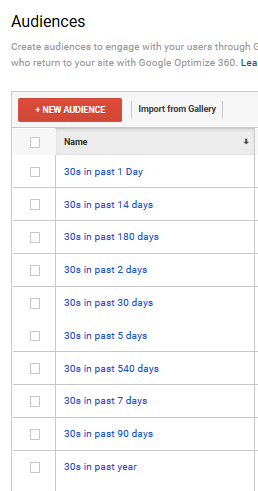 Set the desired number of days of Membership duration. Then click Next step. 5. 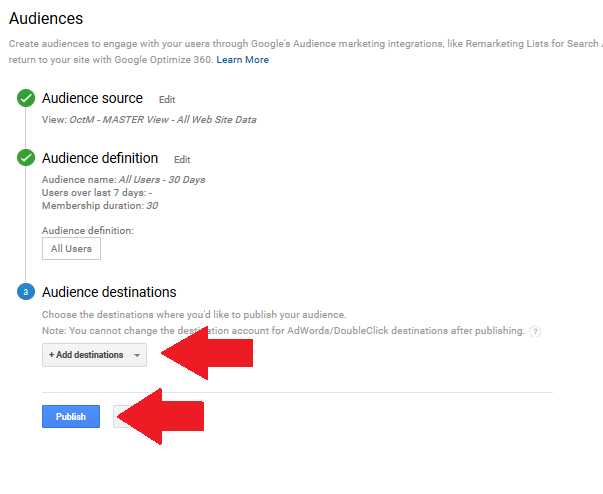 Under “Audience destinations”, choose the Adwords account that you like to have access to your published audience. That would be the same AdWords account where you will run your retargeting ads. 6. Hit “Publish” and you are done. 1. Navigate to Admin tab. 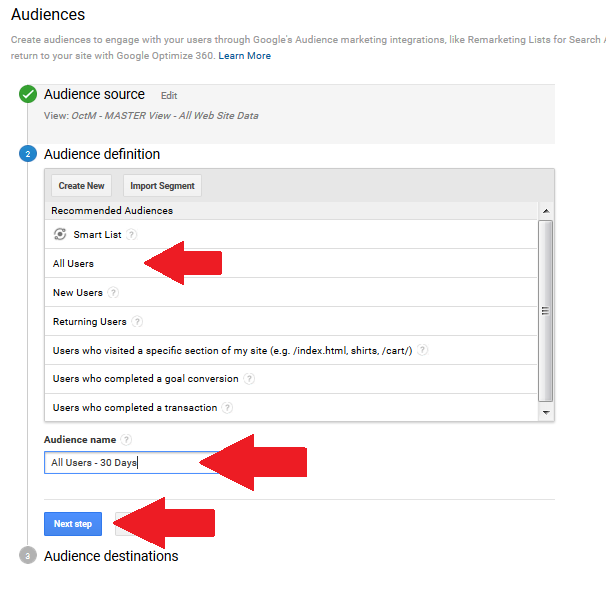 In the Property column scroll down to audience definitions then click on audiences. 3. Choose the type of Audience you would like to create. 4. 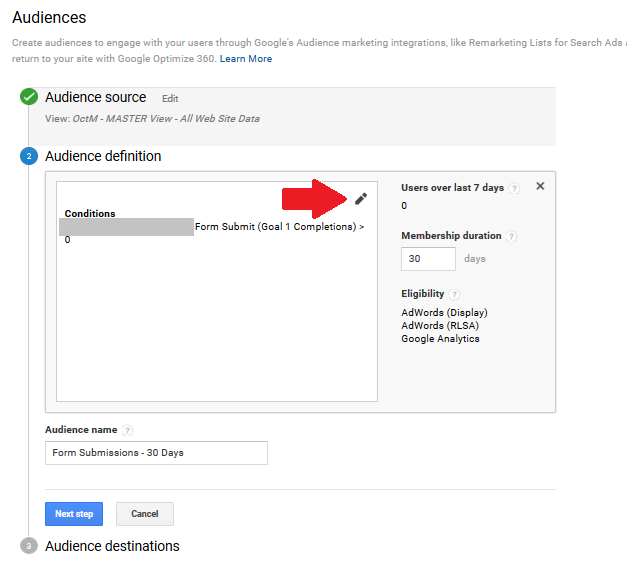 Once the Audience has been defined, set up the number of days you would like to segment your Audience. For example, 7, 14, 30, 90, 180 days, etc. Don’t forget to name your audience and hit “Next step”. 3. Fill out the Audience name and Click on Create New. Then click on “Next step”. 4. 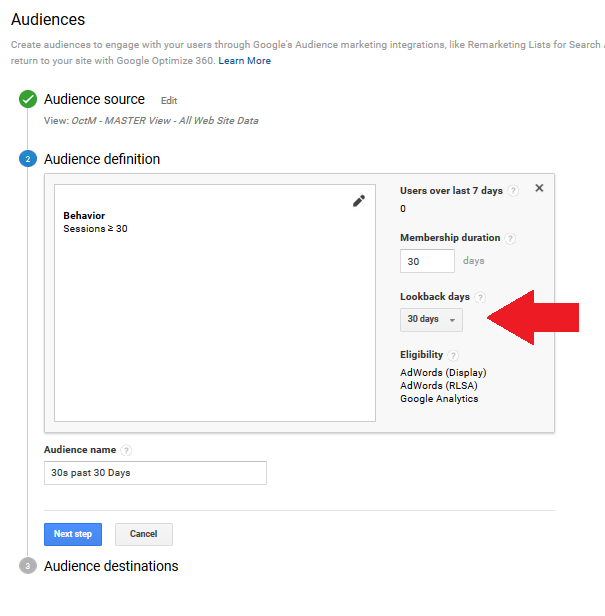 On the “Audience Builder” page, choose Behavior. Then fill out “Session” with the desired time, be aware this is in Seconds. Be sure to use the operator shown in the screenshot below, this is the “Equal to or Greater Than” operator. So in this example this means, the visitor’s session on your site lasted for 30 seconds or longer, and anyone who left faster that than is not included in this audience. Then click “Apply”. 5. Make sure the adjust your “Lookback days” to the maximum of 30 days. That means our “at least 30 seconds” worth of session happened within the last 30 days, which is the maximum time window allowed. Then click “Next step”. 5. 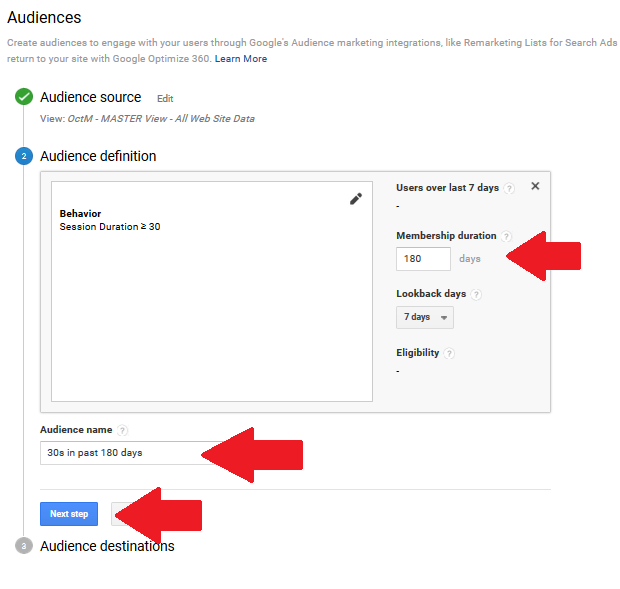 Under “Audience destinations”, choose the Adwords account that you like to have access to your published audience. 3. On the “Audience Builder” page, choose Conditions. Choose “Page” from the list or simply type page to find it. 4. Enter then URL path. Do not include your domain. If you are entering more than 1 URL, make sure to choose “OR” from the right hand site of the box. 5. Make sure to adjust the days of Membership duration. Then click Next step. 5. 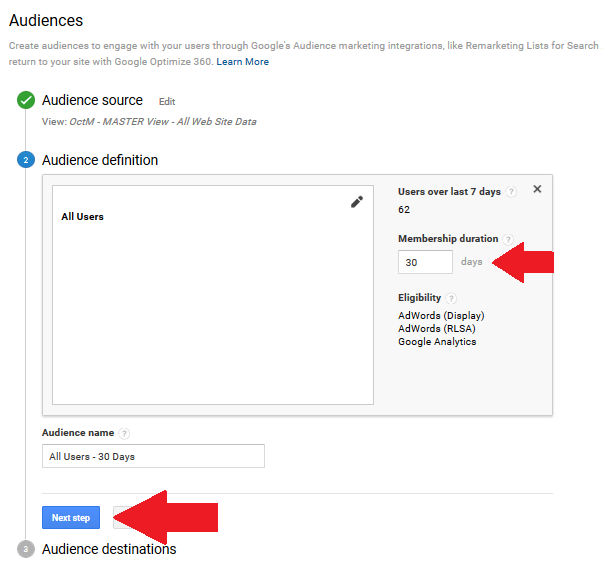 Choose the Adwords account that you like to have access to your published audience under “Audience destinations”. Note: This option requires that you have previously configured Analytics Goals. 3. From the list of predefined Audience definitions, click on “Users who completed a goal conversion”. 4. Click on the pencil icon on the right hand corner of the “Audience definition” box. 5. On the “Audience Builder”, choose your Goal Completion and click “Apply”. 5. Set your desired Membership duration. Then click, “Next step”. 6. 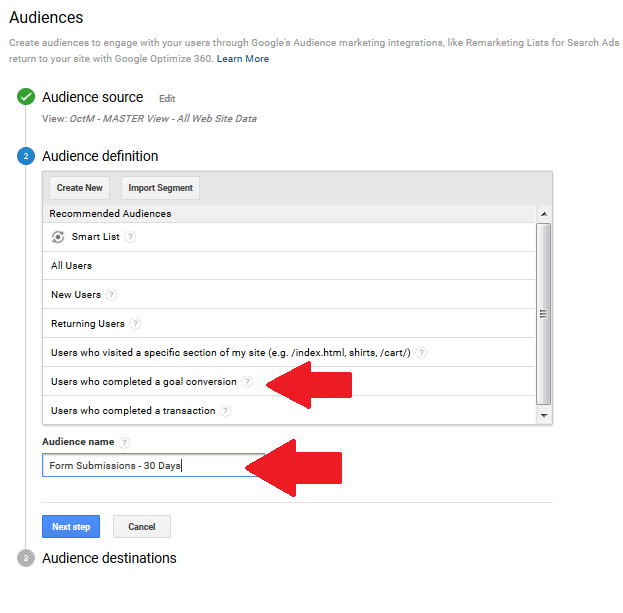 Under “Audience destinations”, choose the Adwords account that you like to have access to your published audience. You may also refer to this article from Google Support for more information.